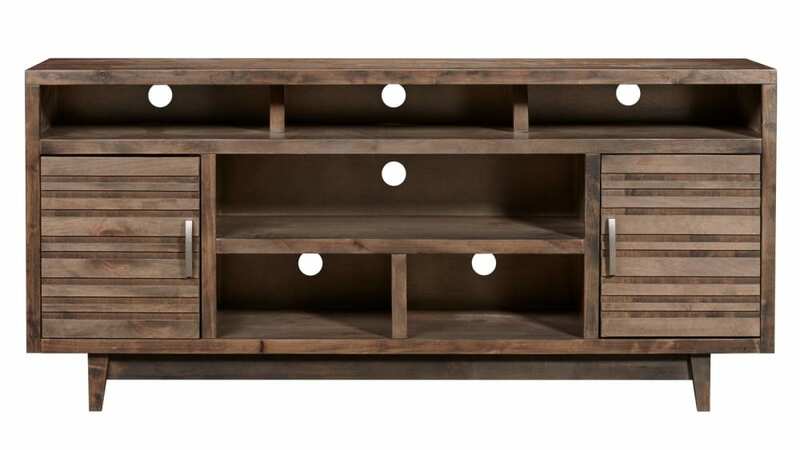 Update your living room to be both organized and stylish with this beautiful grey TV console. Made in America, and featuring an inspired style that is distinctly mid-century modern, this design will look elegant in any room. The rich finish complements a variety of color schemes, and the convenient storage can't be beat. Buy TODAY, Delivered TODAY! Four open slots provide ample room for you to store both small and large equipment. 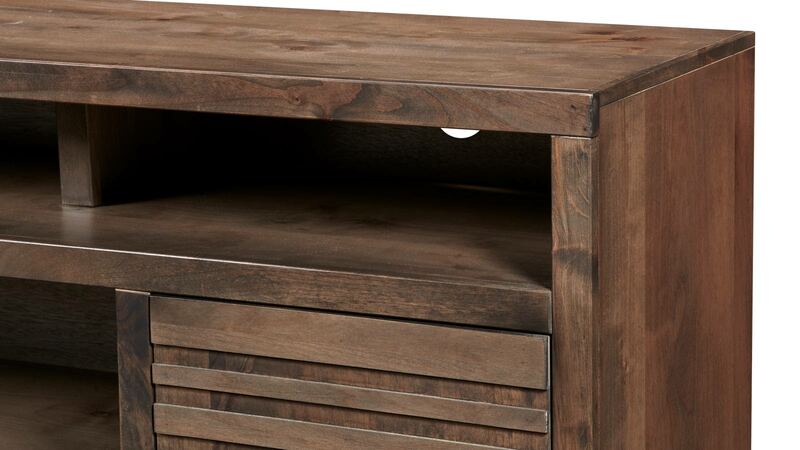 Two closed cabinets are perfect for storing Blu-Rays and other media accessories. A rich sophisticated grey finish enhances the traditional styling of this TV console. 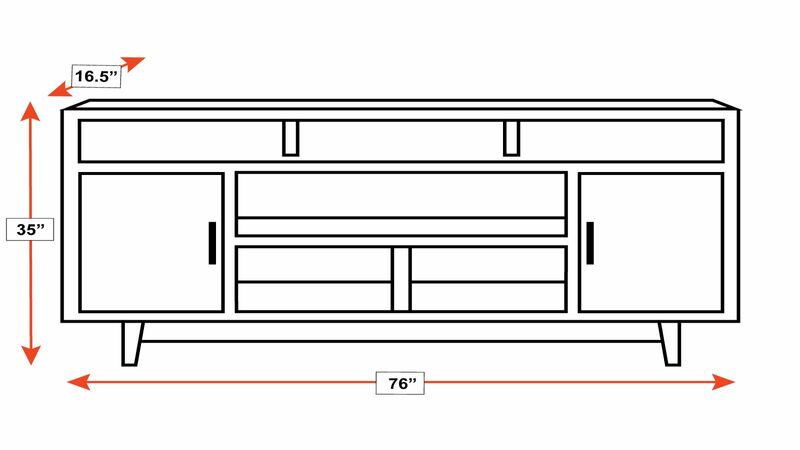 Made right here in America, this TV console is built to exacting standards. Your living room will instantly be improved, thanks to the quality, look, and style of this TV stand.